Beryl is Cornish through and through after spending many years serving locals and visitors at Duckpool beach near Bude, so at Proper Vintage we only want to serve the BEST Cornish ice cream! After rigorous taste tests we decided that the ice cream produced from the organic Jersey ladies at Roskilly’s was hard to beat! Working with Roskilly’s means that we can also offer you their range of sorbets, yoghurt ices, Hiccup Alcoholic Ices (Strictly for over 18s only!) as well as their new VIBE non-dairy (plant-based) ice cream. We also offer the wonderful natural ice lollies from Deli Pops – handmade from fresh fruit in St Agnes, Cornwall. Please see below for a selection of flavours (full list available on request). 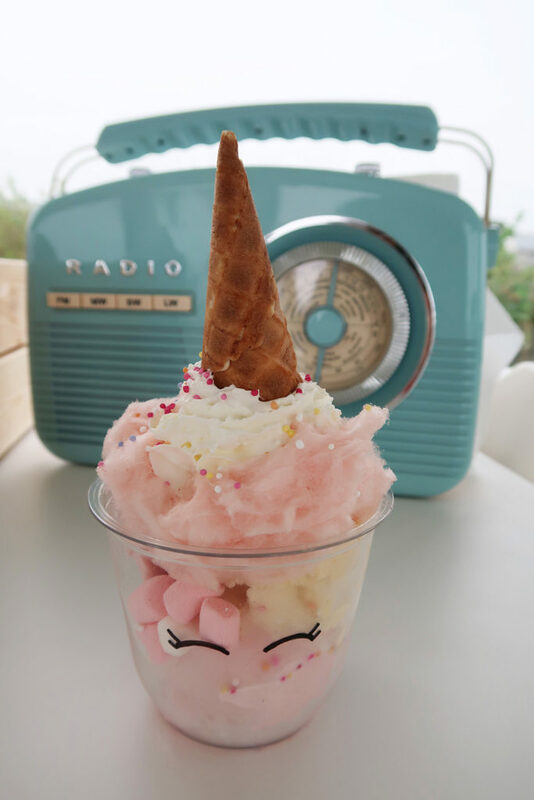 We are more than happy to cater for any specific dietary requirements with sorbets, dairy free ice cream and vegan friendly ice lollies and ice cream available. Please contact us for more information. Don’t panic if you don’t like ice cream… we won’t hold that against you! 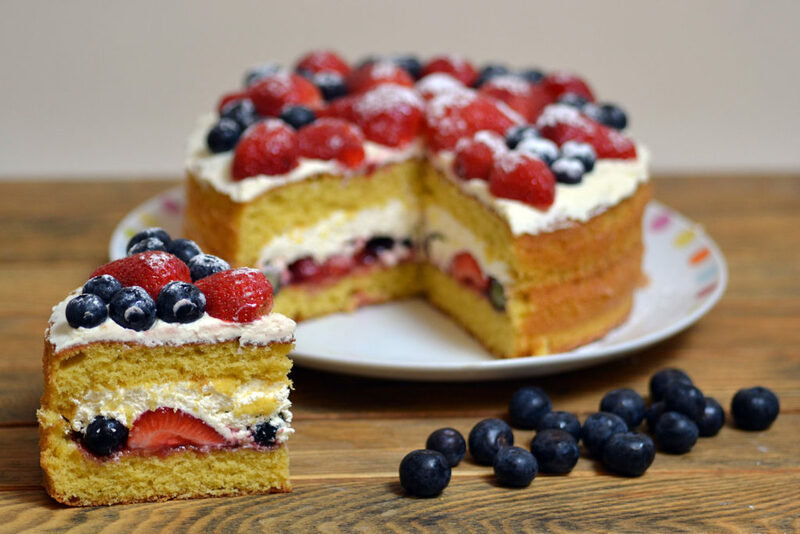 Here at Proper Vintage we also offer a delicious and tempting array of cakes and bakes. 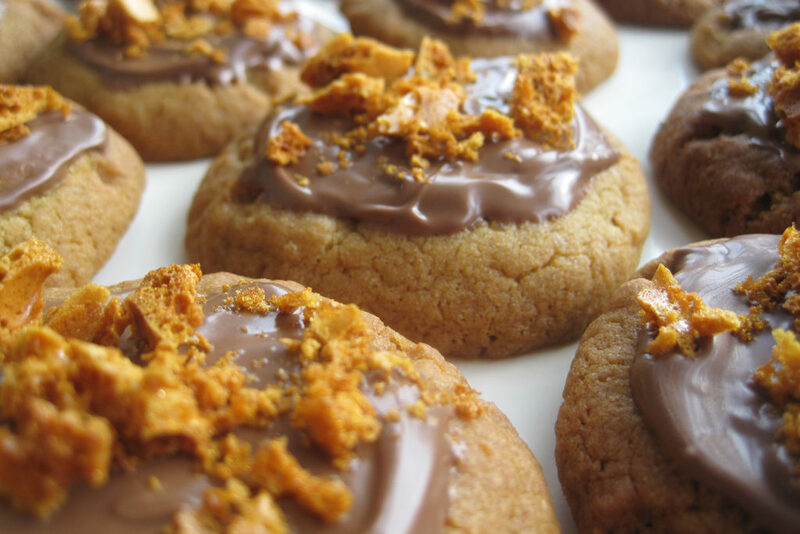 These can be served from Beryl to create a truly indulgent dessert for your wedding breakfast… think chocolate fudge brownie with clotted cream vanilla ice cream, YUM! 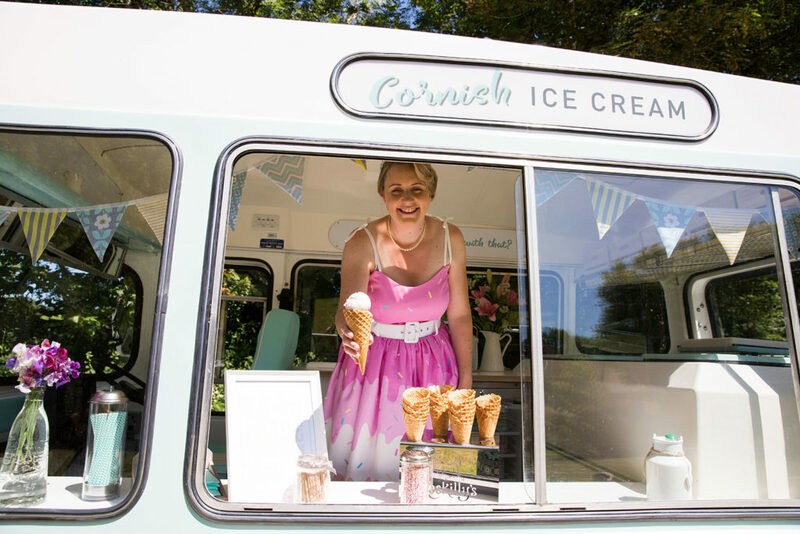 How about a traditional cream tea served from a vintage ice cream van?… with tea of course! Or a dessert table brimming with sweet treats and spectacular cakes! We are open to all of your ideas so please contact us. We are more than happy to cater for any specific dietary requirements with dairy free, gluten free and and vegan friendly options available. At Proper Vintage we understand how important the details of your wedding are and one of these details is of course the cake. Hannah (that’s me! ), the better half of Proper Vintage, has been baking and decorating cakes for a number of years and is now pursuing it professionally as part of Proper Vintage. Hannah is a born perfectionist, she has studied sugar craft at Cornwall College and undertaken courses at the renowned Faircake in London. Hannah also appeared in an episode of ‘Kirstie Allsopp’s Handmade Britain’ in 2011 winning a ‘Highly Commended’ rosette at the Devon County Show afternoon tea competition. 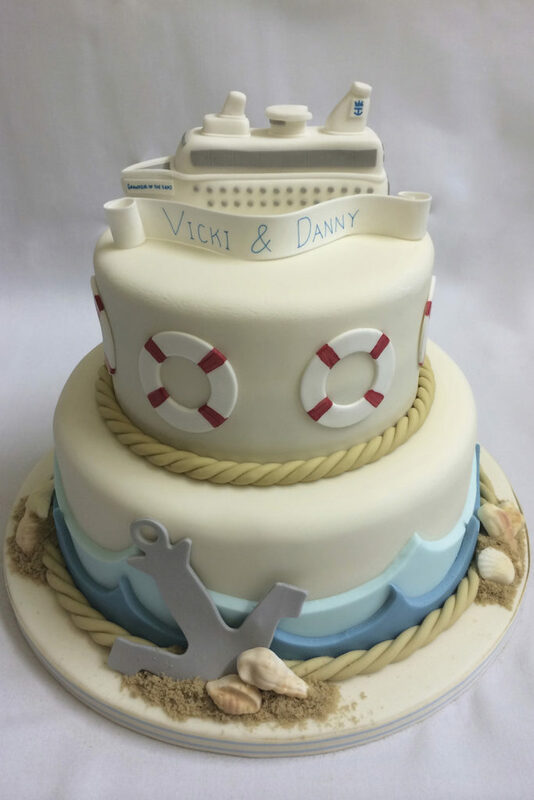 Please take a look at our gallery to see Hannah’s previous creations and contact us if you would like to discuss your wedding cake dreams… we would love to make them come true! 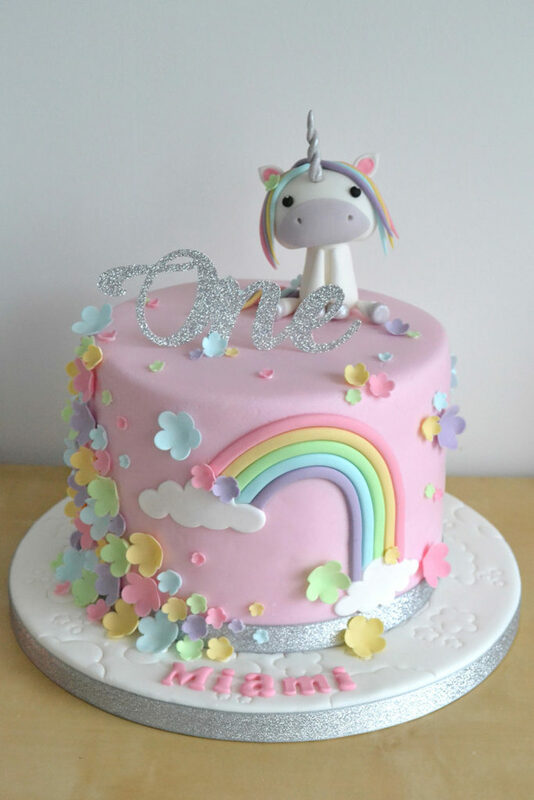 Birthday parties, christenings, anniversaries, Tuesdays… are there any events that aren’t made better by a celebration cake! 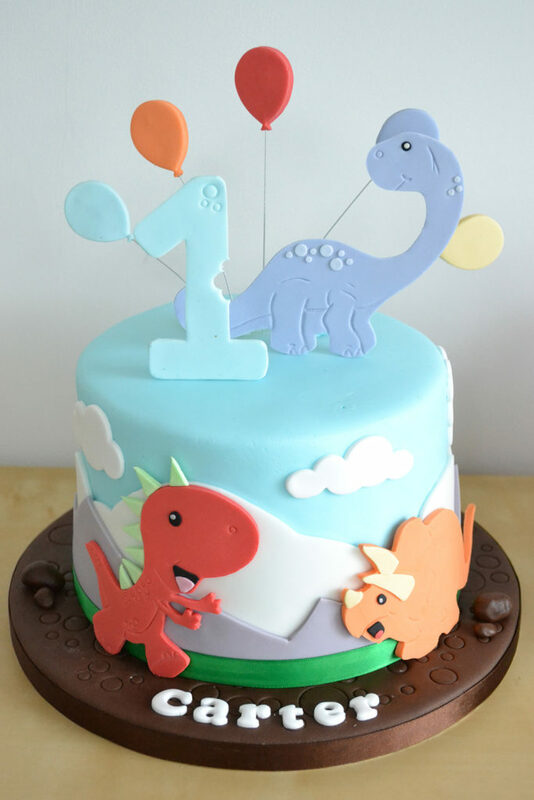 Be it a dinosaur themed birthday cake or a pretty pink Christening cake, here at Proper Vintage we aim to create the perfect cake to celebrate your special occasion. Hannah (that’s me! 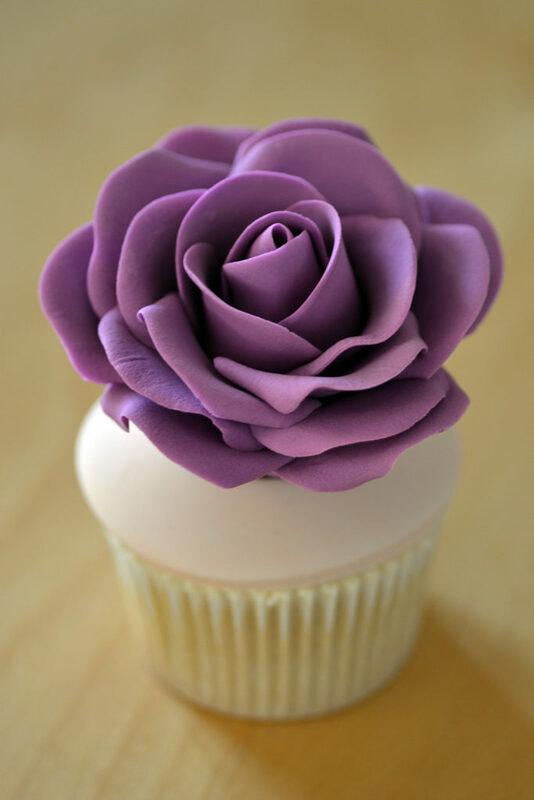 ), the better half of Proper Vintage, has been baking and decorating cakes for a number of years and is now pursuing it professionally as part of Proper Vintage. Please take a look at our gallery to see Hannah’s previous creations and contact us if you would like to discuss your ideas. We are more than happy to cater for any specific dietary requirements with dairy free, gluten free and vegan friendly options available.